Window coverings now offer additional functionality, such as filtering heat and light as well as reducing sound. The era of simply covering an opening for privacy is long gone. Professionals are expected to specify products that cover a huge spectrum of benefits that exceed privacy. Window coverings now have to offer additional functionality, such as filtering heat and light as well as reducing sound. They should be manufactured with the least harm to the environment and, finally, be fully recyclable at the end of their lifespan. The Blinds Syndicate has invested time and money in sourcing products that ensure we remain at the cutting edge of the latest developments regarding these vital specifications. Our partners, Junkers and Mueller Technical Textiles in Germany, have been world leaders in bringing to the market products that set new standards constantly. They conform to almost every international standard that is relevant for manufacturing responsibly, to ensure the product has a cradle-to-grave lifespan that is environmentally friendly. Sound reduction is increasingly sought-after when specifications need to be prepared. One of the fabrics we offer, Novo Acoustics, combines refined textile character with technically sophisticated functionality. The Trevira CS fabric has very good sound-absorbing properties, and is therefore ideally suited for creating a pleasant room atmosphere. The elegant ribbed texture conveys great aesthetic appeal for high-quality furnishings. There is also an aluminium-vapour coated version that reflects incoming sunbeams. This is particularly effective for temperature control. To complement this range, there is also a print-ready fabric for maximum customisation. Silkshade is a collection of PVC-free screen fabrics. All product variants are flame resistant. The grid-like fabric structure prevents invasion of privacy from the outside and eliminates glare while still allowing a view of the outside. According to individual requirements of shading and heat control, you can choose between qualities with different openness factors and various finishes, with the reverse side of the product being coloured or aluminised. In addition, there is a product with a darkened finish. This range also carries a print-ready fabric for maximum customisation. 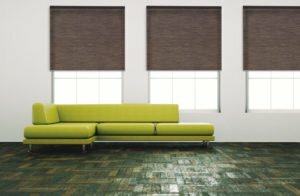 The Blinds Syndicate offers a large amount of window blind operating systems while utilising the same fabric collection that makes their brand a dream for specifiers. Roller blinds are hugely popular as the highly technical textiles used in their manufacture helps them regulate solar light and sound. The Blinds Syndicate’s roller mechanisms are sourced mainly from Australia. The ‘engine’ of the blind is made of sturdy, high-quality metals and plastics ideal for commercial application. The Blinds Syndicate has been offering this product for more than seven years and have mastered the manufacturing of a highly effective window-covering product. Teaming up with Bloecker from Germany, The Blinds Syndicate produces under license their highly successful pleated and honeycomb systems. The pleated system has the Silkshade collection as part of the product offering, which gives designers a tool that can cover almost any complicated window shape with the added benefit of matching fabrics that may be used for roller blinds. This helps bring a project into a perfectly co-ordinated plan. Vertical blinds are still one of the most cost-effective, functional products available, and it is predicted that vertical blinds will make a comeback. 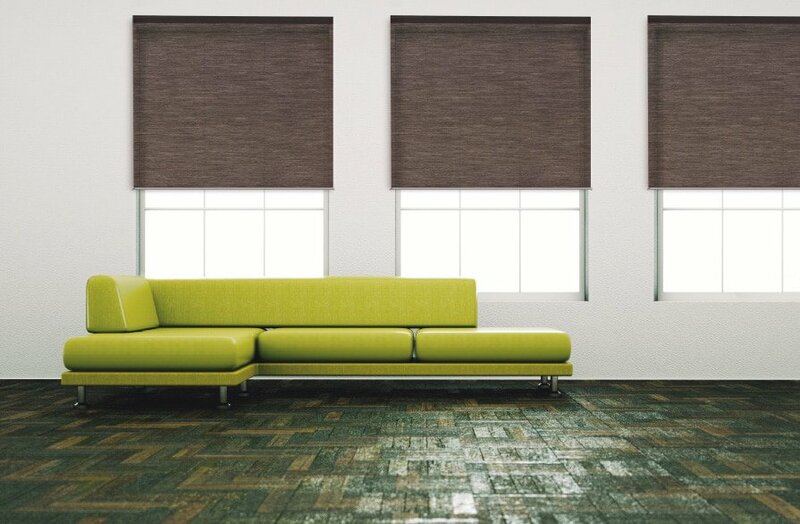 Now that The Blinds Syndicate has access to highly engineered fabrics for this collection, and by eliminating the troublesome bottom chains, designers are re-looking this type of blind with renewed interest.